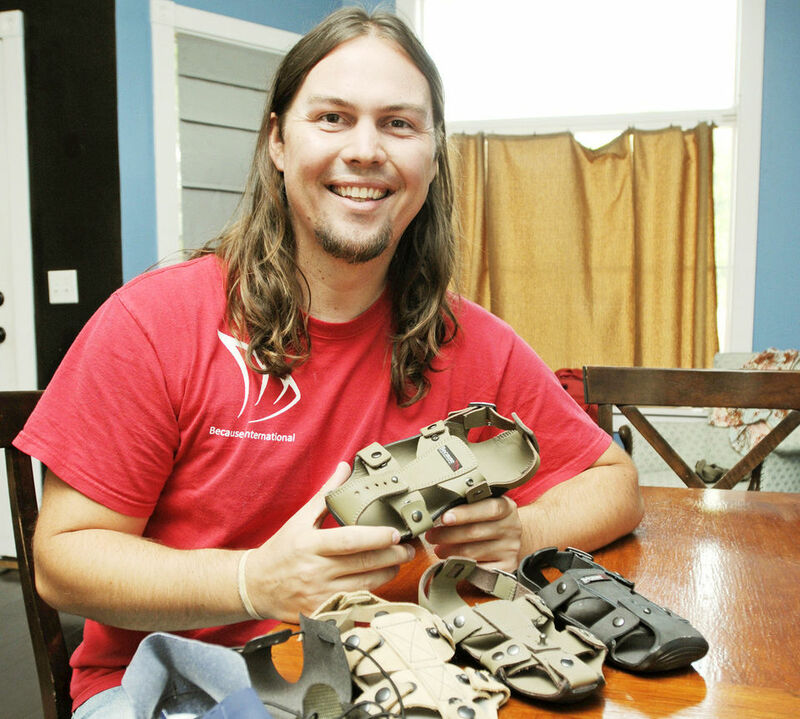 A young man by the name of Kenton Lee has designed a new type of shoes that are made of buckles, straps, leather, and rubber, and can be worn by children for up to five years because their length can be adjusted as the child’s foot grows! Lee graduated in 2007 from Northwest Nazarene University, ad subsequently spent five months at an orphanage with 140 children in Nairobi, Kenya whose parents had all passed away due to AIDS. He quickly noticed that the children lucky enough to have shoes had cut out the front to let their toes stick out, while the rest did not even own shoes and had no choice but to barefoot. Determined to help the children with this problem, Lee came up with an idea. In 2009 he created a non-profit organization called Because International and spent seven years in research and development to come up with a viable design. In the end, he created two adjustable shoes – one small size and one large. The small size is made to fit young kids from pre-school all the way to grade five. The larger size is intended for older kids grade five to grade nine. With this ingenious approach Lee enabled poor and underprivileged kids all over the world to go through their childhood in comfort while only needing 2 pairs of shoes! In addition to being much more comfortable, the shoes also protect the kids from parasites and diseases that can be contracted from soil and dirt. The shoes are quite inexpensive to produce and cost only $10 per pair. Interested parties can go to his website TheShoeThatGrows.org where they can purchase the shoes individually or in bulk packages of 5, 10, 25, 50 or 100. People can also pay $10 for a pair of shoes that will subsequently be sent to one of five partner organizations around the world.